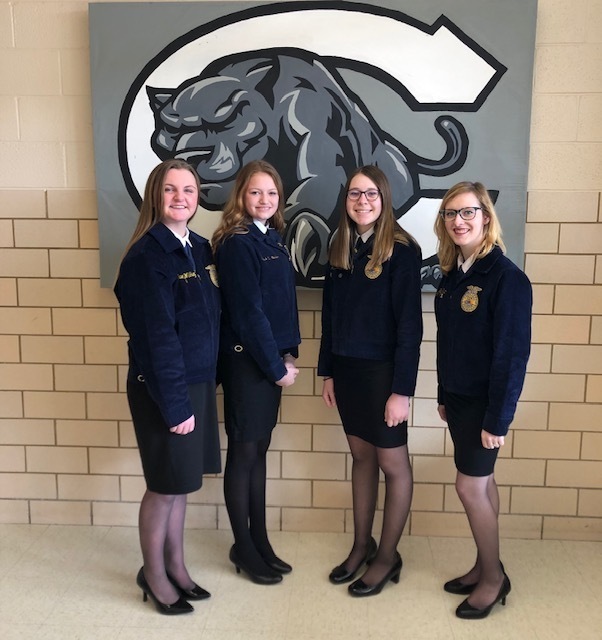 Four freshmen, Halley Marek, Hannah Baalman, Gwen Wilkey and Kyla White, are members of the Salisbury FFA Chapter Knowledge Team which placed 6th at the Area IV Leadership Development Event in Centralia. The team has studied general FFA knowledge and Missouri agriculture facts and attended practice contests where they completed individual 100 question tests. Their work ethic has paid off as they have earned a spot at district competition. The team will compete in Monroe City for the Northeast District Leadership Development Event on April 1.